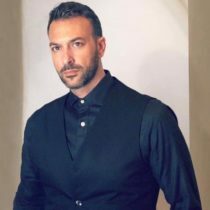 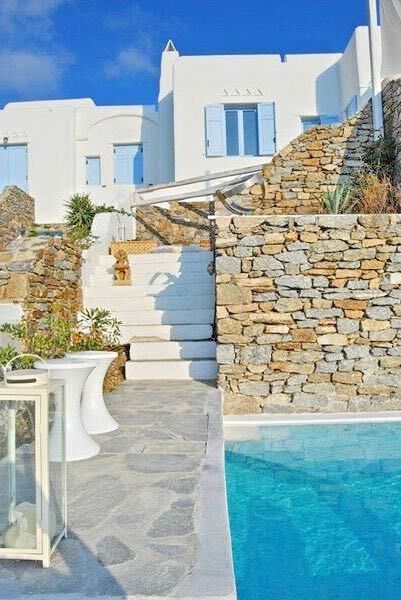 in a complex of buildings shaped in typical Greek architecture, away from the stereotyped tourists spots, just some minutes away from Mykonos center of town. 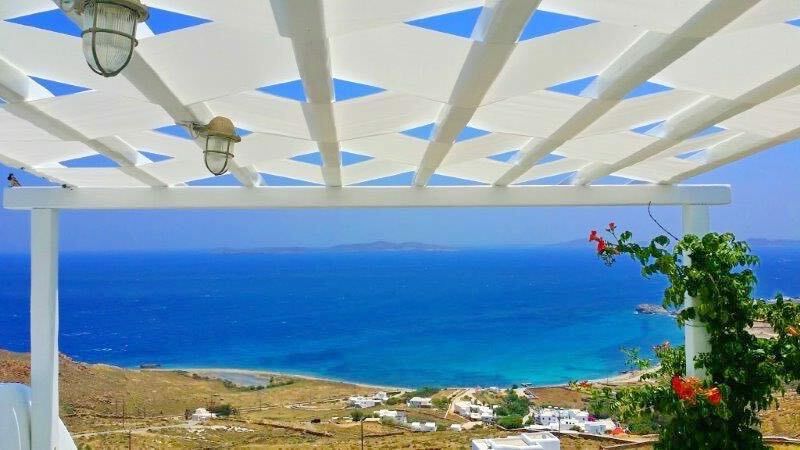 The deep blue of sea and sky provides an indescribable background, making the building outstanding. 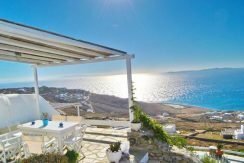 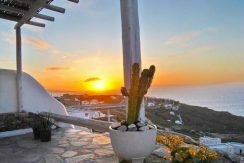 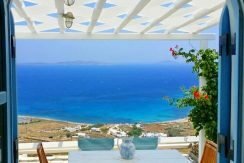 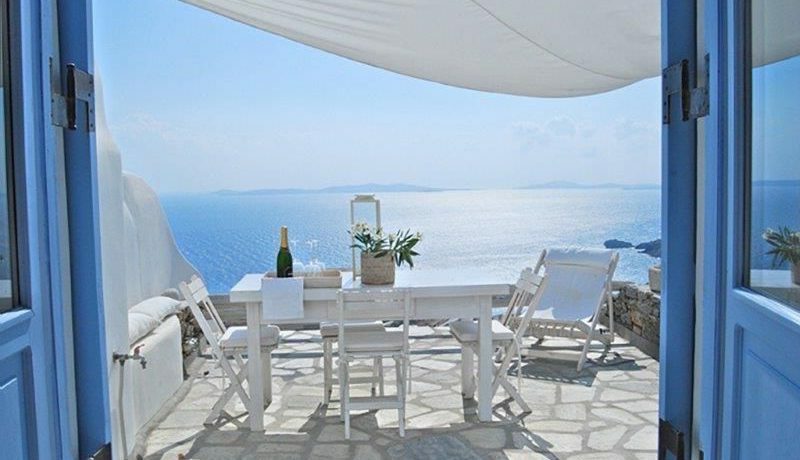 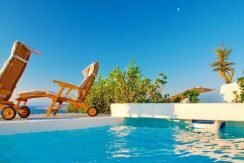 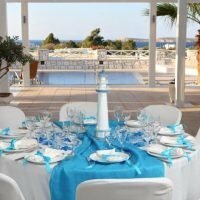 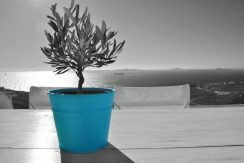 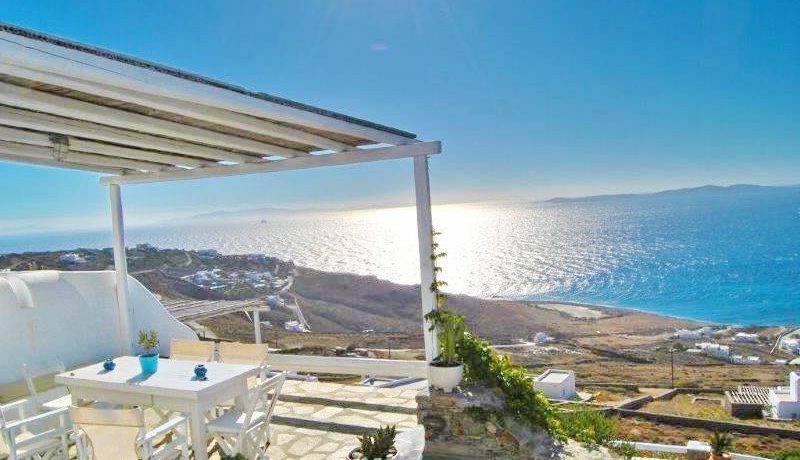 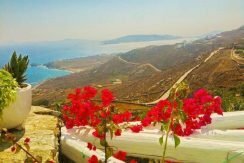 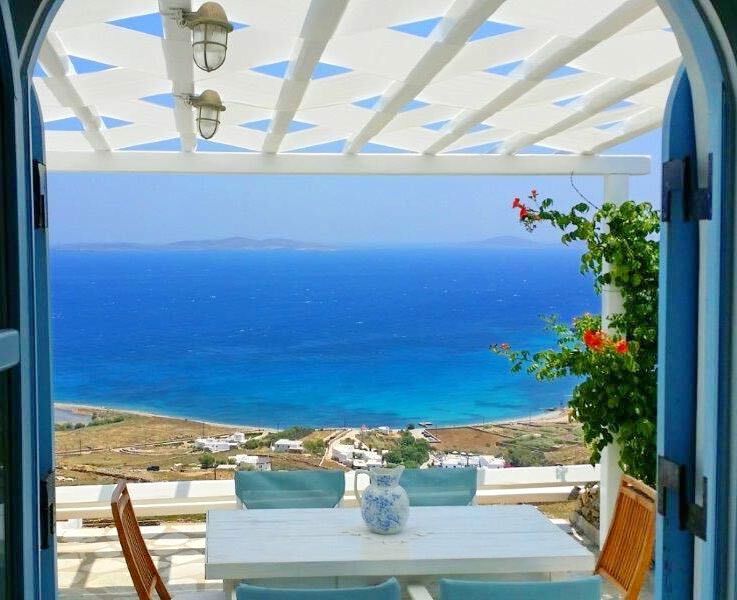 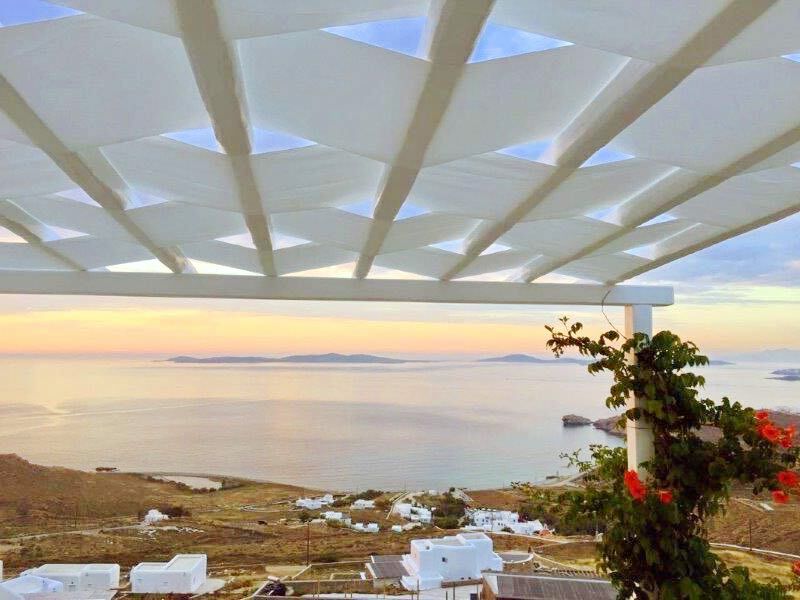 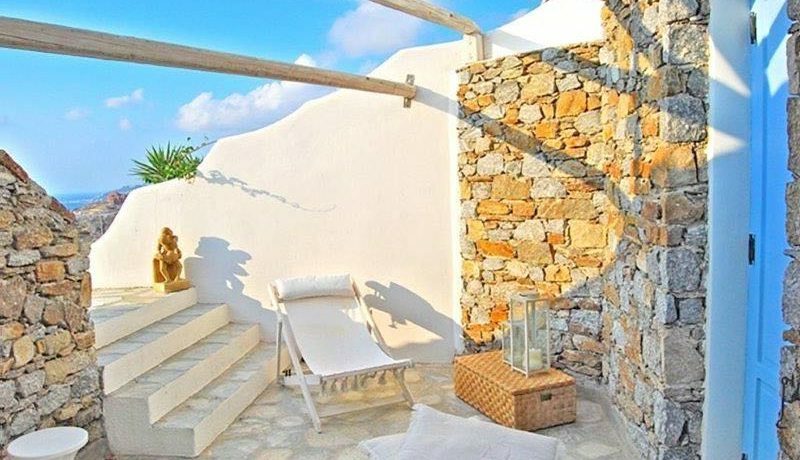 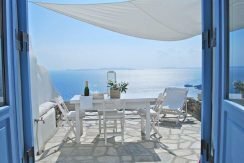 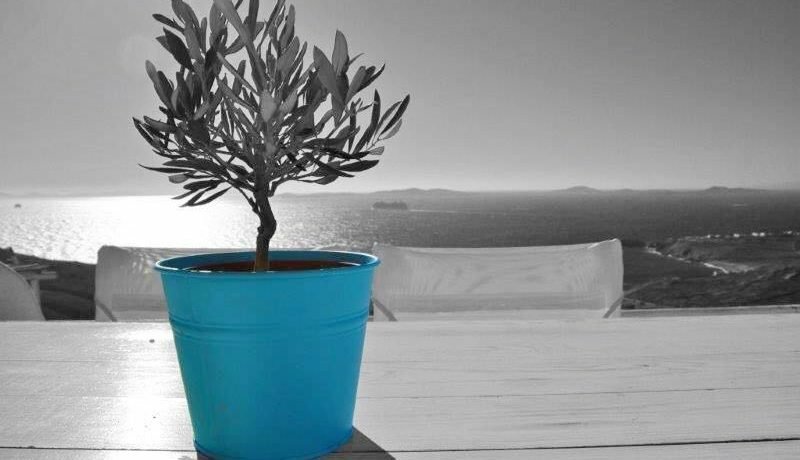 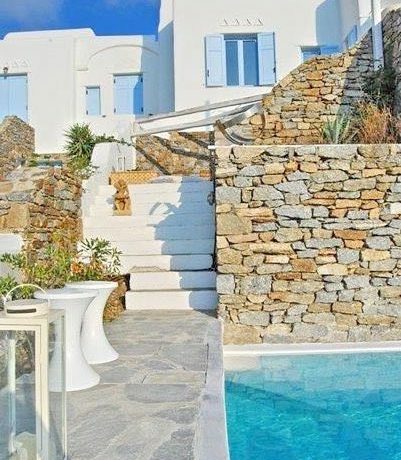 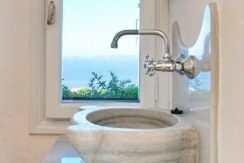 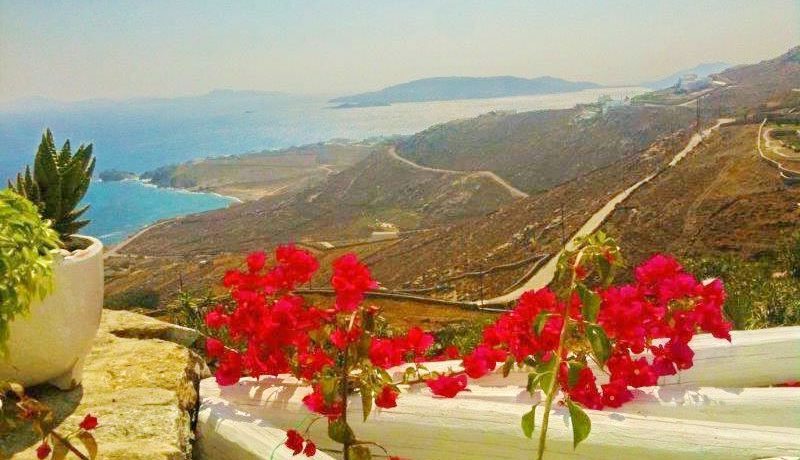 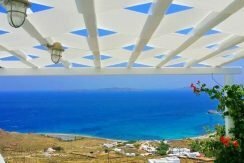 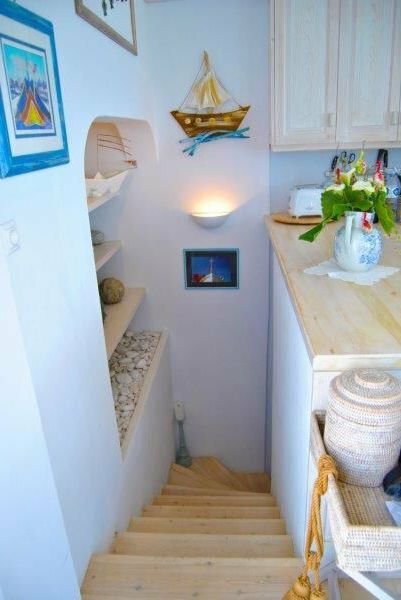 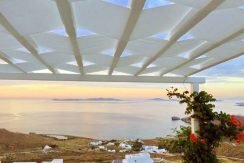 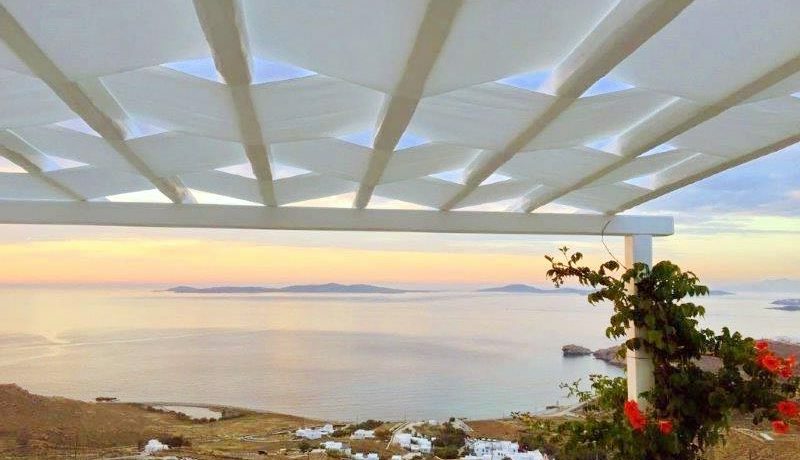 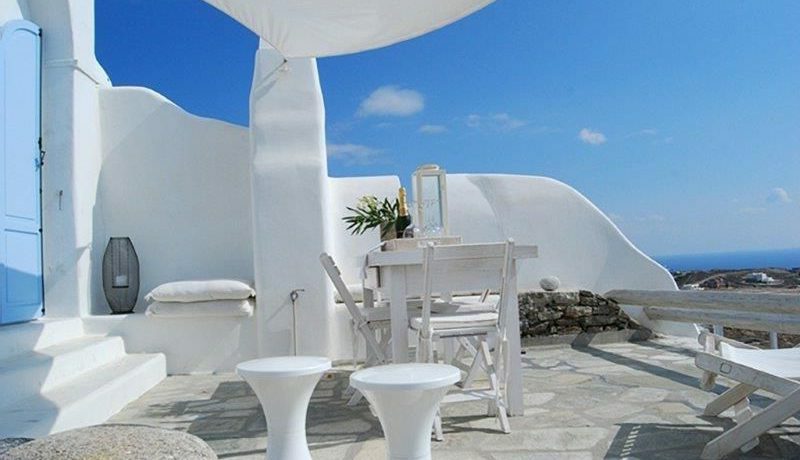 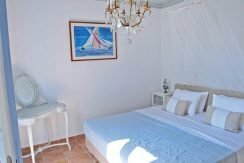 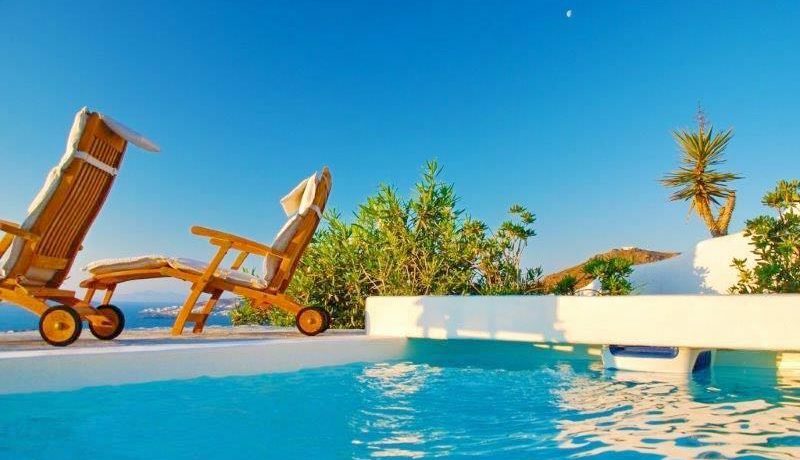 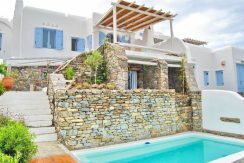 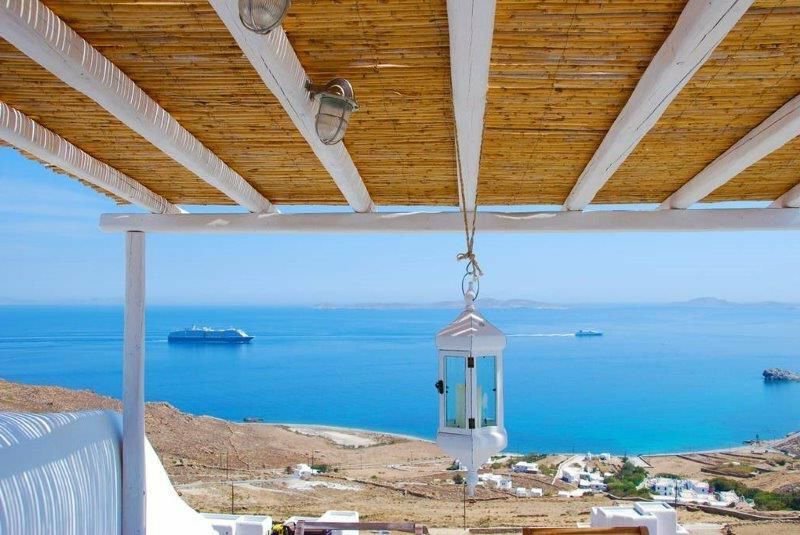 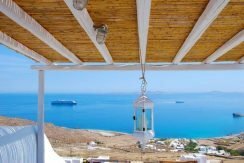 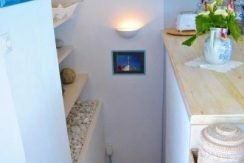 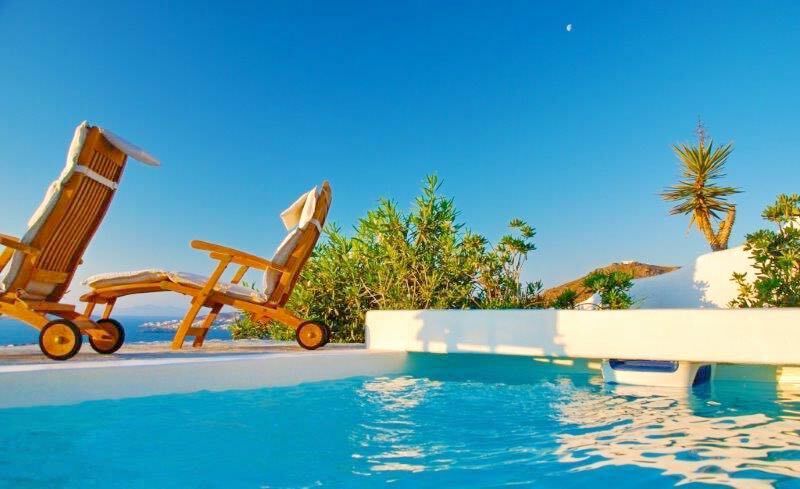 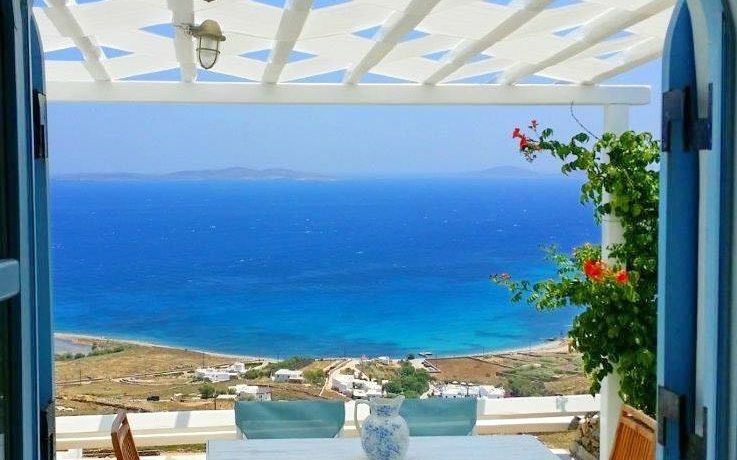 You may choose whether to enjoy the peace and spectacular beauty of the panoramic view and fantastic sceneries just by dwelling in the premises of the Villa, or you may want to venture yourself in the lively and exiting atmosphere of some of the well known beaches or, may be, in the breath taking and awesome nights of Mykonos. 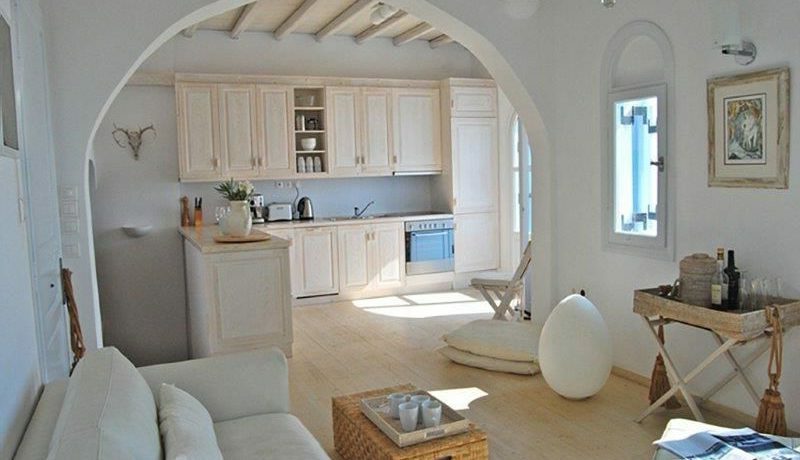 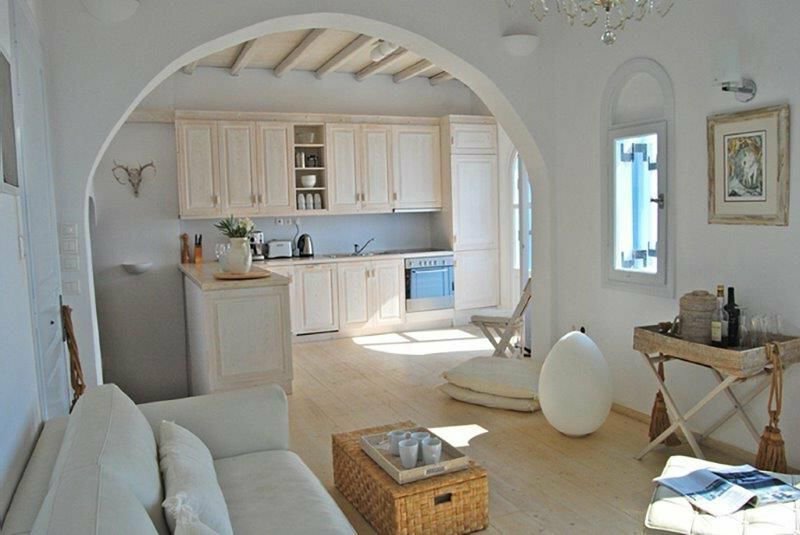 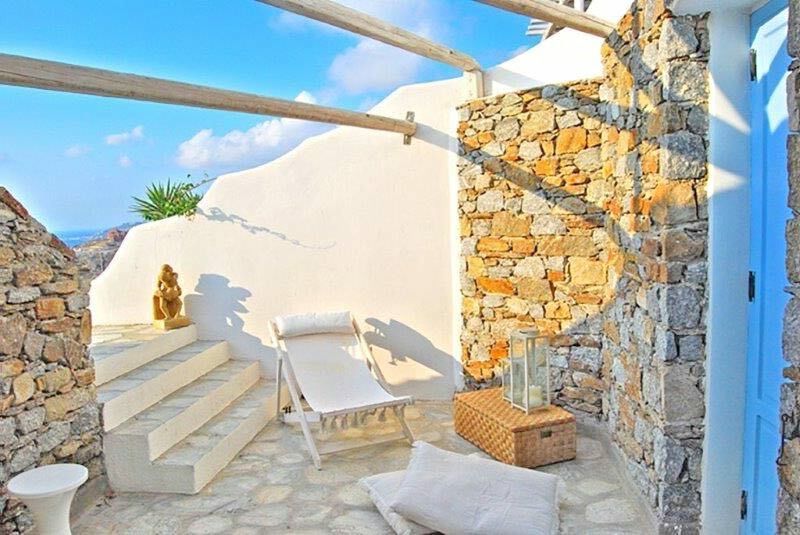 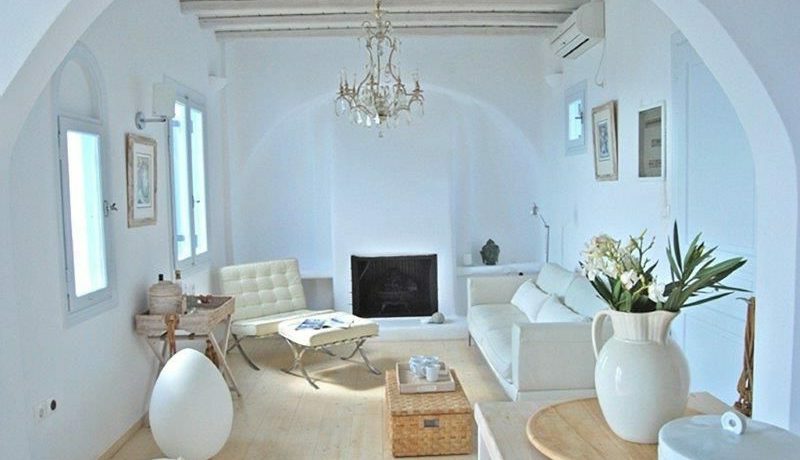 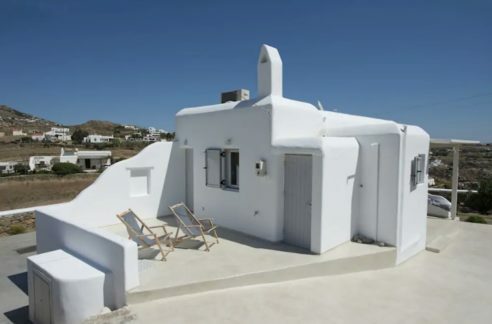 The Villa unfolds in three bedrooms with bath and can host up to six people. 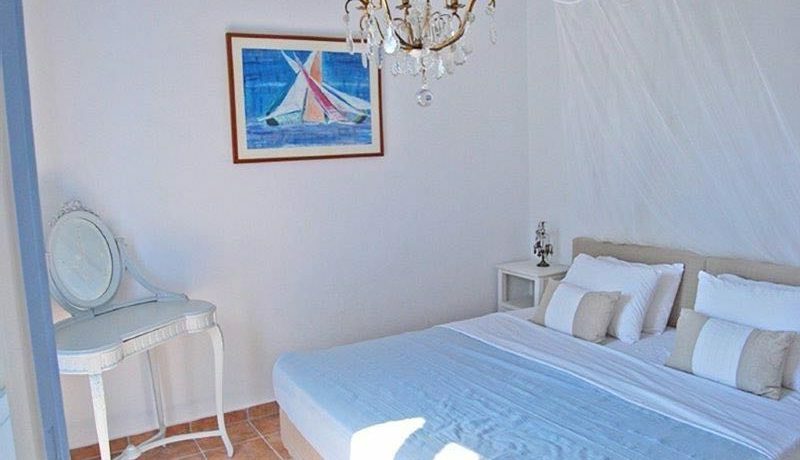 The master bedroom is provided with a king size bed whereas the other two bedrooms are provided with french size beds (140 wide). 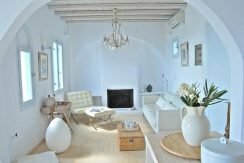 The living room and the wide kitchen, coupled with the two verandas, make of Villa an ideal and most pleasant place to stay. 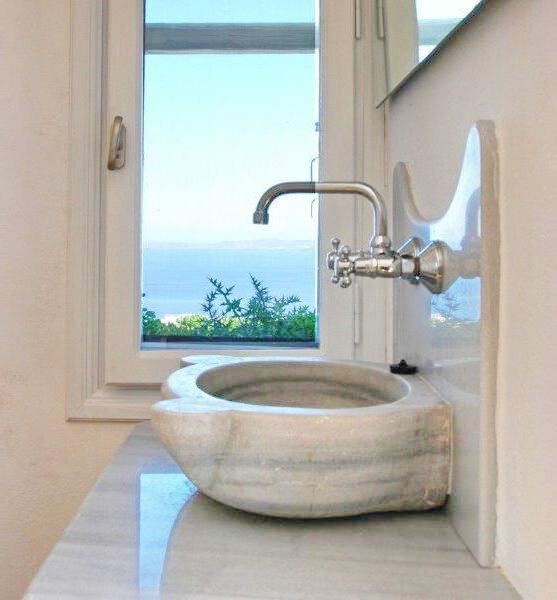 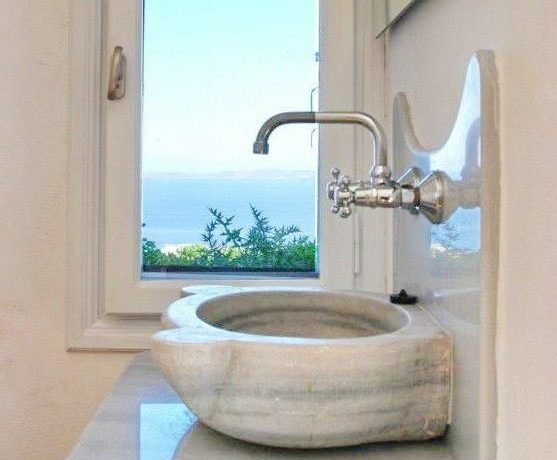 Having a bath admiring the outstanding sea view form here is simply the best! 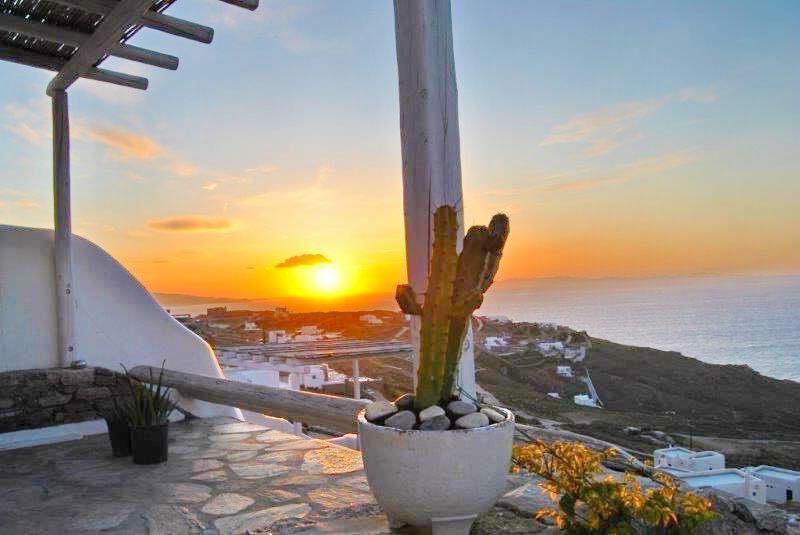 Houlakia Mykonos settlement lies in the north-western part of the island and is renowned of its beach with the wild beauty. 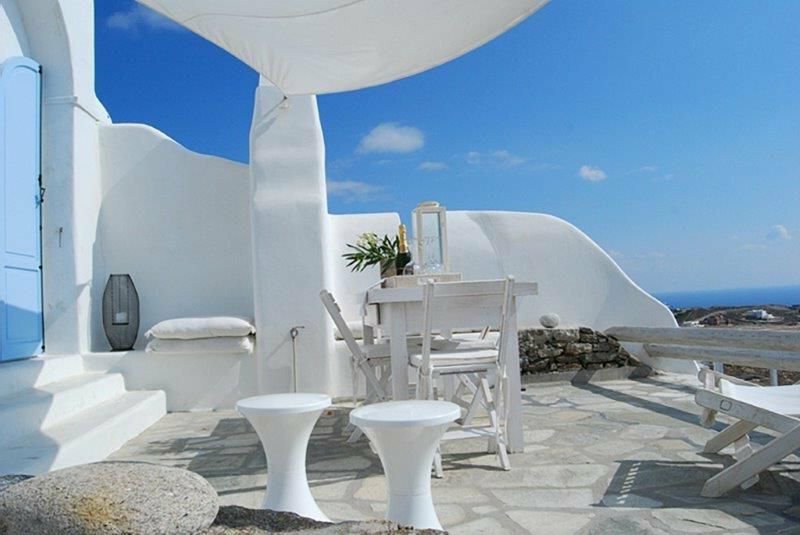 This beach is protected as it is covered with sizable pebbles, considered a real miracle of nature. 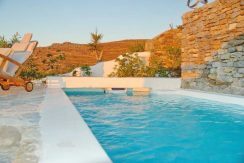 In this area tranquillity prevails since it is not very much frequented, making the place ideal for travellers who seek relaxing moments during their vacations. 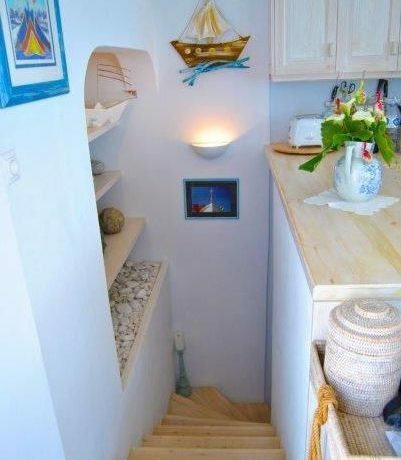 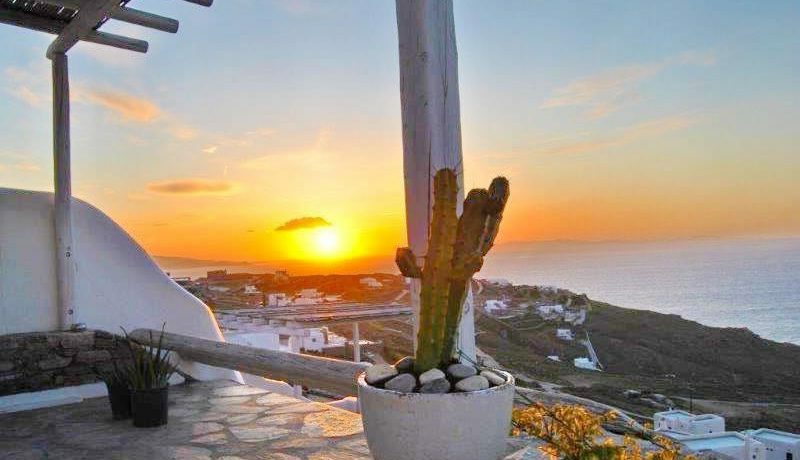 Nearby Houlakia Mykonos there are interesting attractions for those of you who wish to know Mykonos Island in depth. 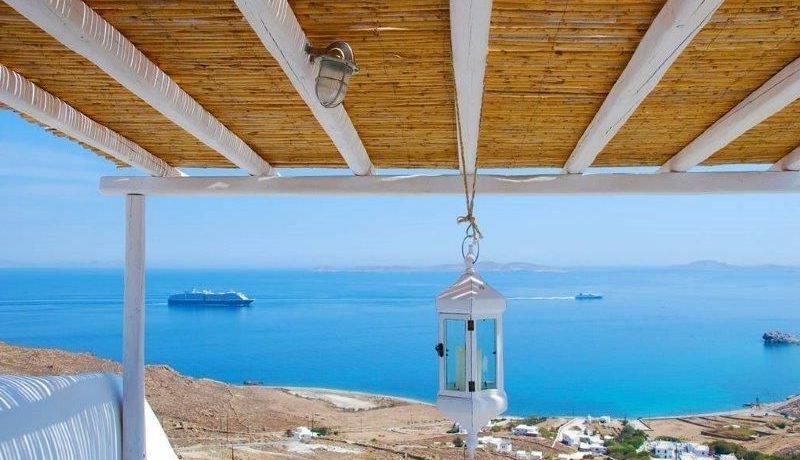 We suggest that you visit the lighthouse in Fanari and the archaeological site of Vorna, where you can admire ruins of an ancient castle. 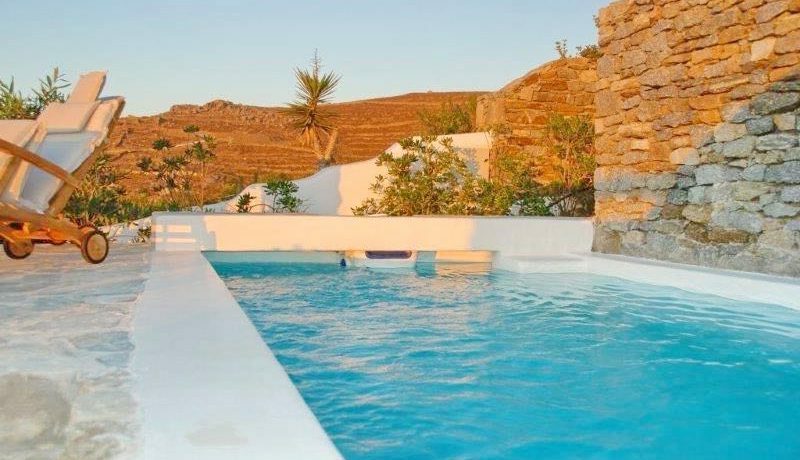 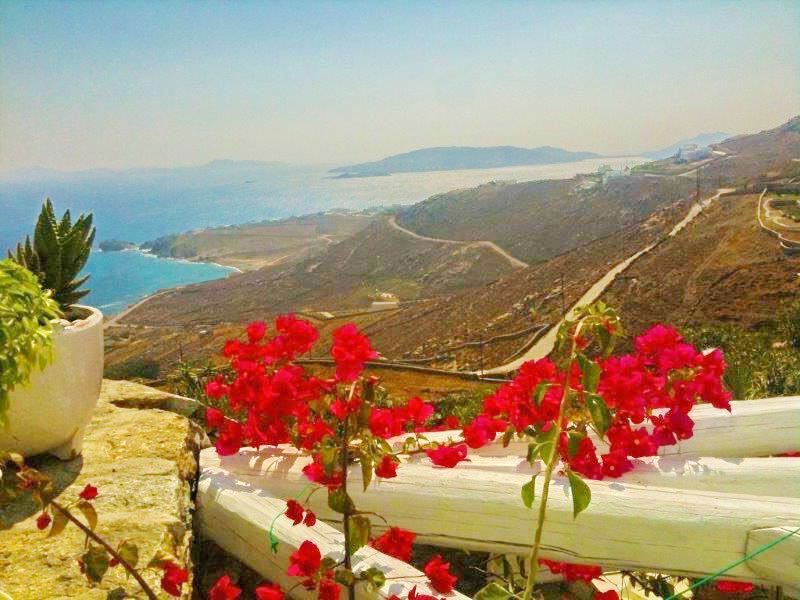 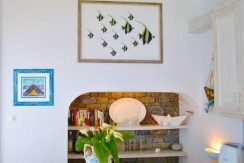 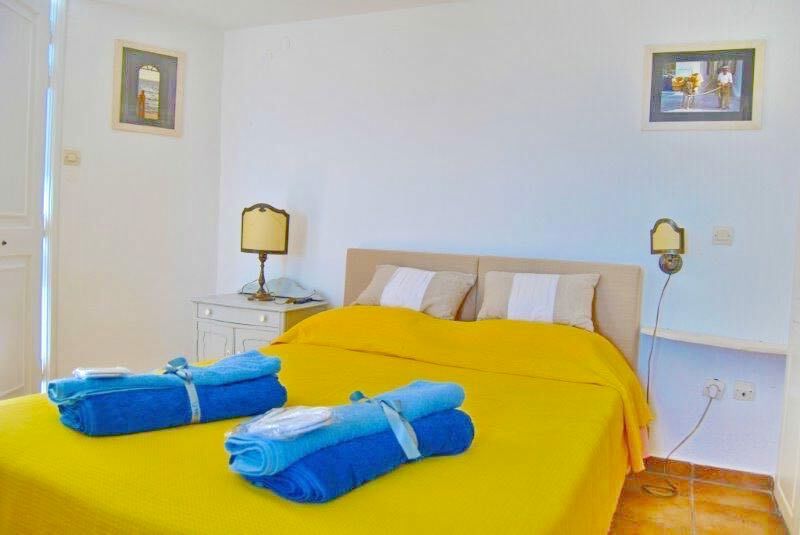 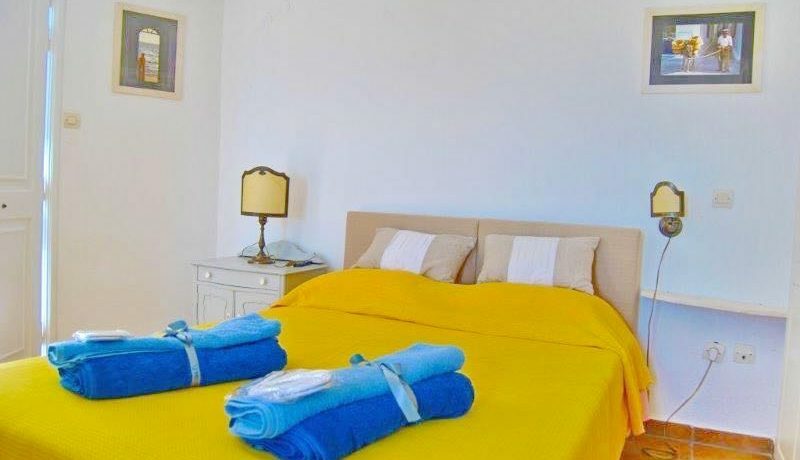 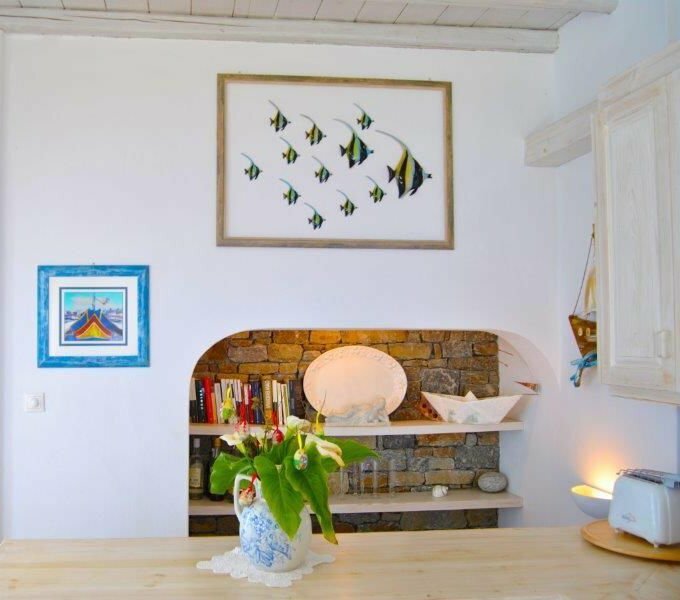 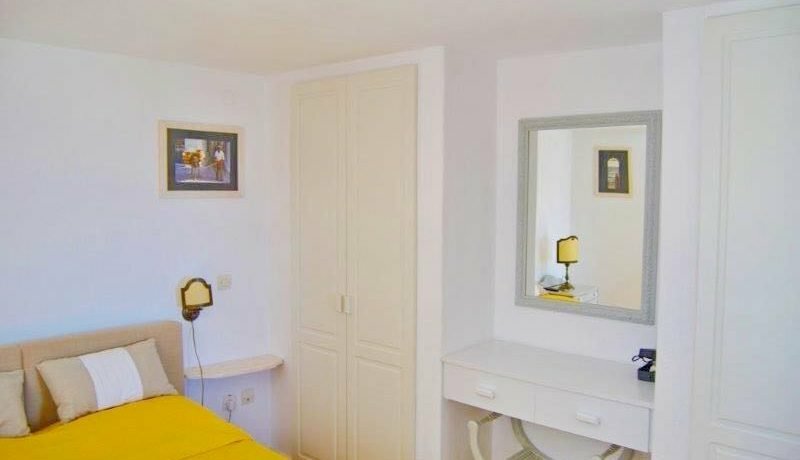 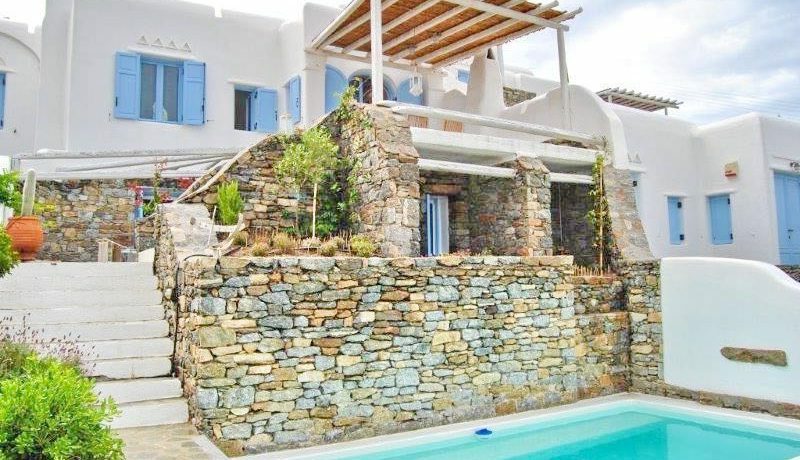 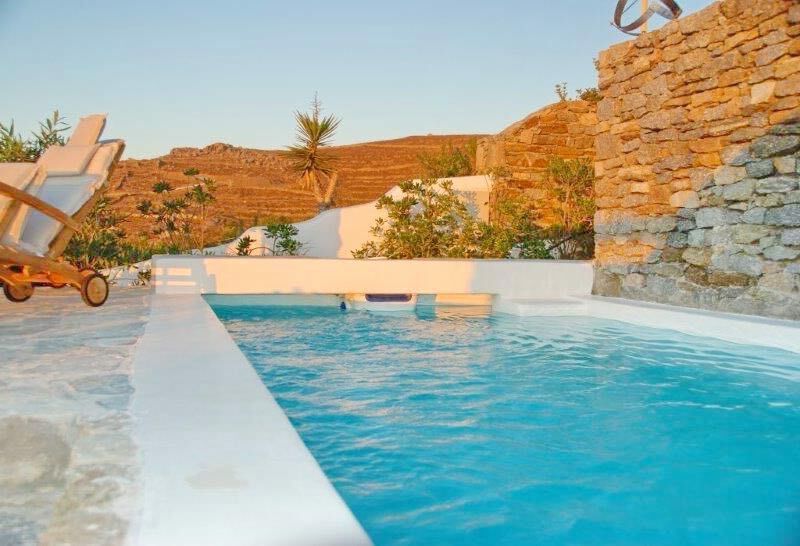 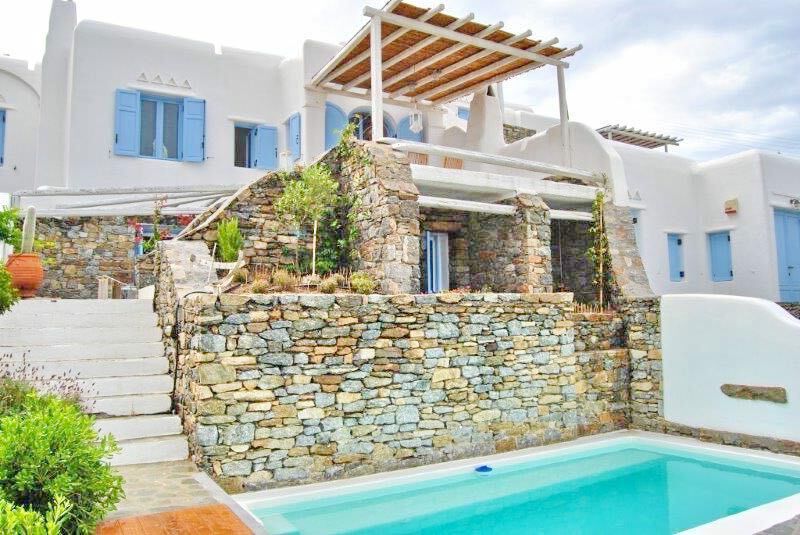 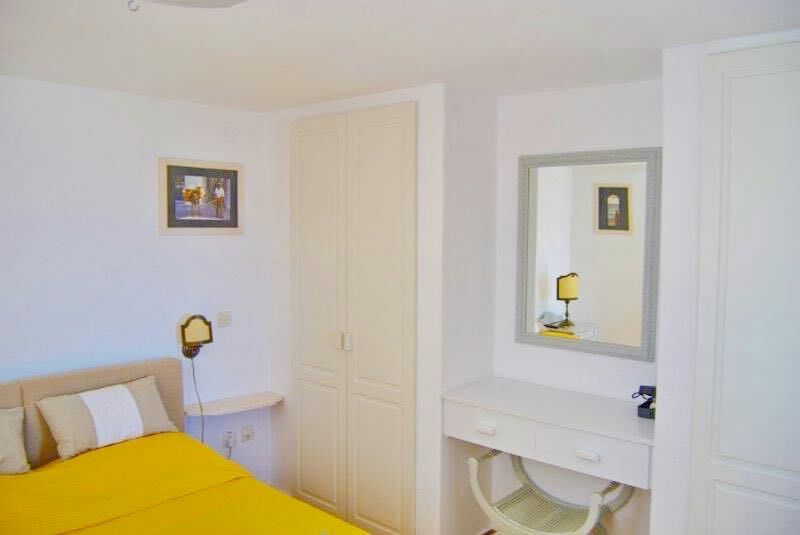 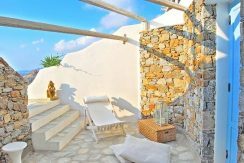 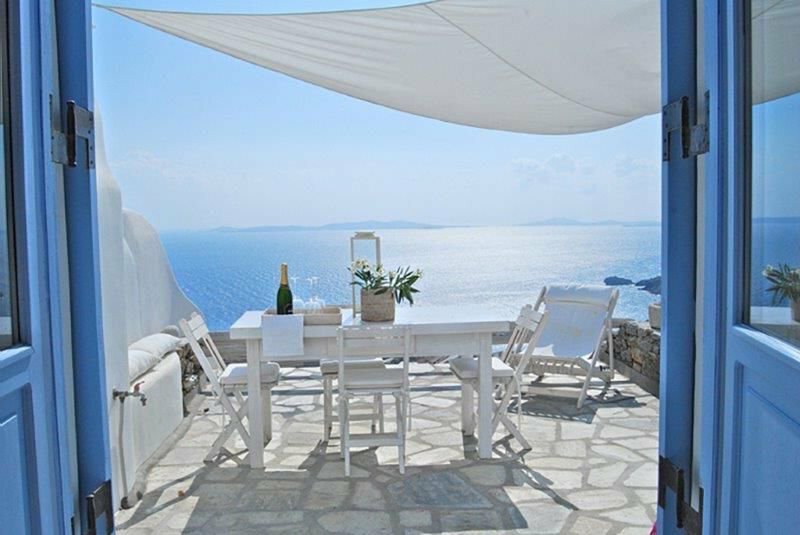 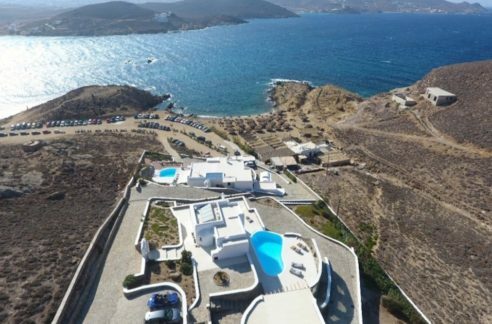 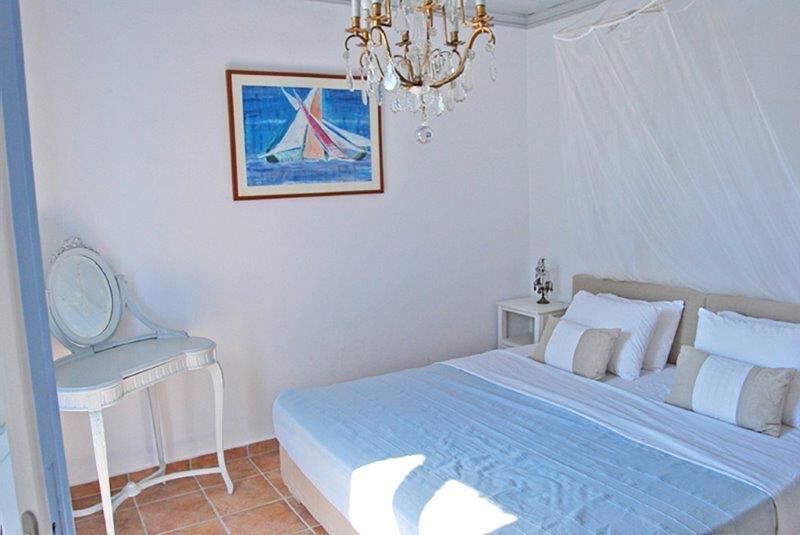 From Houlakia you have easy access to the resorts of Tourlos and Agios Stefanos which is approximately 3 km far, as well as Mykonos Town, just 5 km far.